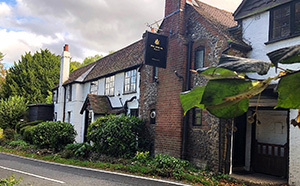 A traditional English pub offering melt-in-your-mouth seasonal dishes, a fantastic drinks selection a great atmosphere, 7 days a week. 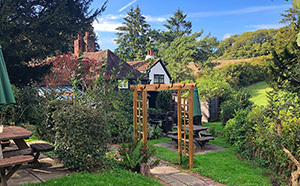 Located in Mugswell, Surrey, The Well House Inn is a perfect spot for those Londoners looking for a weekend escape to the country, whether you want Real Local Ales fresh from the cellar or a simple G&T. It’s an area of outstanding natural beauty with some fab walks to help you work up an appetite too. We are family and dog friendly and packed with all the character and charm you want from a proper country pub. We are part of a family that is passionate about pubs and who care about our customers; from our loyal locals to many fabulous walk ins from many walks of life. We have a fantastic huge garden with panoramic views perfect for spending summer days to our cosy pub with real log fires in each room.